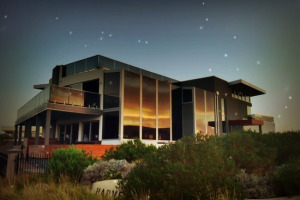 Starhaven Retreat is the premier luxury Bed & Breakfast accommodation on the Bellarine Peninsula. Its beachside location near Portarlington offers stunning surrounds with fantastic views across Port Phillip Bay to Melbourne. After 18 holes at one of the nearby golf courses, come back and be treated to 4 star luxury. With 5 luxe rooms available, its the perfect accommodation for a golfing group looking for that little bit extra on their getaway.